Review: An unseen enemy comes and threatens mankind. They come and take over their bodies and start erasing their memories. Melanie Stryder risks everything to protect the people she loves and cares about the most and also tries to prove that love can conquer all in a dangerous new world. This is the next epic love story from the creator of the “Twilight Saga” and the bestselling author, Stephenie Meyer. A very original story and you sympathized with all of the characters. 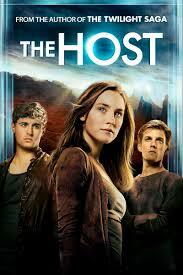 As always in her films Saoirse Ronan gives a brilliant performance. Although Max Irons didn’t really have much to do he did have a big presence when on the screen. The actor Dane DeHaan auditioned for the role for Ian but went to Jake Abel also Liam Hemsworth and Kit Harington auditioned for the role of Jared but Max Irons got the part. The themes that are in this is love, cooperation, identity, humanity and compassion. This also challenges the traditional concept of good and evil, and explores a new idea of what is means to be “human”. When the film came out on its theatrical release it was withheld from the press.